Recently, the Nigeria Immigration Service held its 2016 Comptroller General Annual Conference and Stakeholders Interactive Forum in Lafia, Nasarawa State. Yemi Akinsuyi writes on the event which delved into the management of migration in Nigeria. The Nigeria Immigration Service, NIS, saddled with the responsibility of the management of migration in the country, is believed to be lagging in this crucial service to the nation. This onerous responsibility affects all areas and aspects of Nigeria. The economy, safety and security, national planning, growth and development, food, to mention but few, are impacted by migration. 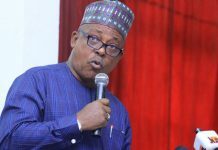 Bearing in mind this all-important aspect of the country, stakeholders, led by the Comptroller General of Immigration, Martin Kure Abeshi, the Minister for Interior, retired Lt. Gen. Abdulrahman Danbazzau, who also represented President Muhammadu Buhari, Permanent Secretary of the Ministry, Bassey Okon Ekpanyung, Amb. 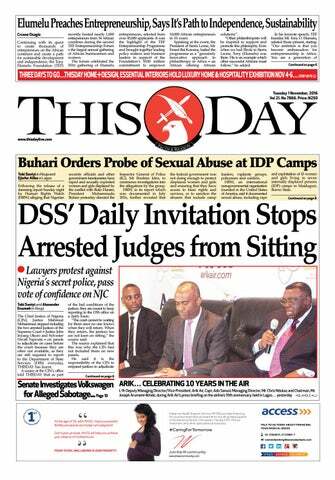 Maitama Sule, British High Commissioner to Nigeria, Paul Arkwright, Head EU Delegation to Nigeria, Amb. Michael Arrion, Senator Monsurat Sunmonu, and a host of others, gathered in Lafia, Nasarawa State capital to brainstorm on how to strengthen migration services. The event had as its objectives to share knowledge and experience on global best practices in modern migration management, and create a platform for the NIS management to brainstorm and compare notes on the role of the NIS in the security matrix of the country with a view to intensifying efforts towards containing the challenges of trans-border crimes, including terrorism. It was also to review the activities and operations of the service in view of the recent operational reforms with a view to fashioning out more pragmatic approaches in discharging the NIS mandate, in line with international best practices and sensitize senior officers and strategic stakeholders on the major innovations brought about by the Immigration Act, 2015 as well as mapping out strategies for seamless implementation of the provisions of the new enabling legislation. The theme of the three-day conference- Migration Management: Prospects and Challenges – and the reactions generated from papers presented among participants attested to the aptness of the subject matter, especially at this particular point in time. Declaring the conference open, Minister of Interior and representative of the President, Lt. Gen Dambazau, congratulated the Nigeria Immigration Service (NIS) for the new legislation, the Immigration Act, 2015 which has effectively positioned the NIS to respond to the increasing challenges of modern Migration Management. He maintained that the achievements so far recorded by the NIS in the areas of Border Management and Control, Passport issuance and Administration, Internal Monitoring and Control of migrants are great attestations of the continuous relevance of the NIS in the security matrix of the country. He, however, called on the NIS to upgrade its fight against irregular migration, considering its attendant challenges as expressed in transnational organized crimes such as cross border arms smuggling, human trafficking, drug trafficking, cross border banditry and indeed, terrorism. Abeshi, in his welcome address, said effective and efficient management of migration has become a key and potent tool nations use to remain relevant in a fast changing global arena. He stressed that Migration Management must be seen as a cooperative venture which demands consistent dialogue and partnership among all interested stakeholders to enhance the development of comprehensive and balanced Migration Management policies. The CG further remarked that the Nigeria Immigration Service under his leadership had continued to ensure that no irregular migrant is allowed to remain in the country a day longer than necessary. He however, regretted that the numerous illegal border crossing points, un-demarcated/poorly marked borders, inadequate funding and inadequate personnel have continued to pose some challenges to effective and efficient Migration Management. In his goodwill message, Governor of Nasarawa State, Alhaji Umaru Tanko Almakura, who hosted the conference, and was represented by his Deputy, Mr. Silas Agarrah, commended the Nigeria Immigration Service for creating a platform such as the 2016 Annual Conference to enable critical Stakeholders in Migration Management to harmonise positions on better approaches to manage global migration. He observed that one aspect of a state’s responsibility to protect its own population and territory is the authority to determine who may enter and remain. In exercising this sovereign responsibility, most states have pursued a primarily unilateral approach to migration, with the general tendency to develop ad-hoc strategies on migration issues to respond to domestic needs and interests. The governor further remarked that states have come to realize that nearly all states are simultaneously countries of origin, transit and destination and in order to manage Migration for the benefit of all, they need to shift from isolated and uni-sectoral focus to more comprehensive approaches. 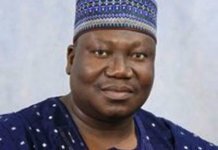 Almakura enjoined Federal Government to evolve more collaborative policies that will guarantee improved operational performance of the Nigeria Immigration Service and position it as a veritable vehicle for attracting more Foreign Direct Investments (FDIs). He therefore, called for enhanced funding for the NIS, more thoroughness in Passport issuance and administration as well as greater synergy between the NIS, foreign embassies and other stakeholders in Migration Management. IOM Chief of Mission in Nigeria, Ms. Enira Krdzalic, hailed the Nigeria Immigration Service for the aptness of the theme of the conference considering the fact that Migration has assumed a huge phenomenon in many global discourses. She stressed that the partnership between the NIS and IOM has been very rewarding, especially within the framework of the European Union funded project – Promoting Better Management of Migration in Nigeria (PBMMN). She pledged IOM’s commitment for more constructive engagement with the NIS for better Migration Management approaches. Speaking on the topic ‘Identifying the ‘Nexus between the Working Conditions of Security Personnel and Patriotism at our Borders’: Amb. Maitama Sule, thrilled participants with his ever fresh oratory prowess calling on participants to make conscious efforts to return Nigeria back to its glorious days of unity, progress and uncommon patriotism. He maintained that the current vices of arm banditry, kidnappings, looting of treasury and political impunity are serious departure from the path the founding fathers of the country envisioned for our general good. He therefore, called on all to support the present government in its efforts at restoring hope, peace and progress to our country. In her presentation entitled ‘Migration Management through Legislation’, Senator Monsurat Sumonu, who was represented by her Senior Legislative Aide, Hon. Ashamu Temi, talked about the need for the NIS to embrace modern technological capabilities to be able to effectively man the country’s expansive and extensive borderlines. She pledged the commitment of the National Assembly to assist the NIS in pushing for enabling legislations and adequate funding for enhanced performance so as to deliver on its statutory functions. British High Commissioner to Nigeria, Paul Arkwright, who spoke on “Immigration Practices and Visa Reforms: Migration between the UK and Nigeria, a Well Travelled Path”, said Migration had remained a huge challenge to many nations, stressing that a significant issue facing all our nations is the ongoing tragedy of those crossing the Mediterranean to Europe. “The number of persons engaged in this irregular movement for various migratory aspirations, including those seeking asylum is estimated by IOM to be 1,103,496 in 2015 alone,” Arkwright, who was represented by Ms. Janki Miles, Head of Migration, said. She noted that amongst the large number of Nigerians who travel back and forth to the UK, there is a very small proportion who had overstayed their visas, thereby breaking British Immigration Laws. She also reiterated that the UK Government was determined to tackle irregular immigration because of its multiplier effect on the domestic labour market, wages as well as negative impact on housing and public services. In his paper, “IOM Cooperation with Nigeria Immigration Service Through International Partnerships, Charles Harns, IOM – Nigeria’s Consultant on Immigration and Border Management, submitted that the purposes of Migration Management are for national and regional development, security, promotion and protection of rights of migrants, and enhancing cooperation in other spheres of international relations. He also listed the processes of Migration Management to include proceeding always with an abiding respect for human rights, proceeding in partnership with other states and key actors and proceeding under the guidance of common international standards and practices. Harns noted that the partnership between the NIS and IOM had grown in bounds and had led to some capacity building projects for the NIS, establishment of Border Data Systems at Land Borders, Improvement to Migrant Screening Centre Facilities for the NIS, among others. Delivering his paper entitled “Examining Templates for a Uniform Process in the Inspection of Companies, Investigation and Status Report Writing”, DCG J.O Olaitan (Rtd) thrilled participants with a robust intellectual excursion into all it takes to evolve a standardized companies inspection exercises, investigation and report writing processes and procedures. The Presentation was not only very scholarly but the richness of the content and interest generated was simply amazing. 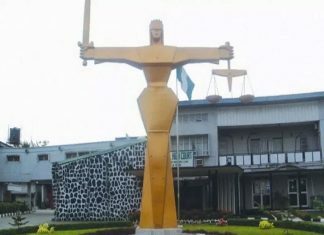 Differentiating between investigation and companies’ inspection, Olaitan, submitted that “while investigation can be specific and targeted at unraveling the veracity of an allegation against just an expatriate for instance, inspection of companies will require an all encompassing information about their general operations and examination of the Immigration Status of all serving foreign employees in that organization”. Another major feature of the conference was the constitution of three syndicates which among others, deliberated extensively on major areas of the statutory functions of the NIS and made far reaching recommendations. Each of the groups had specific topic which centred on the theme of the conference assigned to them for a much more interactive sessions. Syndicate One dwelt on the UK/EU Migration Management Experiences and Lessons to be Learned, Syndicate Two deliberated on Strategies for Modern Border Management: Possibilities for Private Public Partnerships. Syndicate Three had their discussions on the topic How to Effectively Implement the Immigration Act, 2015. At the end of discussions and deliberations, a number of resolutions were reached. One of the resolutions is that NIS should, as a matter of urgency, come up with working manual and regulations for the effective implementation of the Immigration Act, 2015, and /that the NIS should embark on massive sensitization of the workforce on the spirit and letters of the new Immigration Act, 2015, as well as that efforts should be intensified to ensuring that career immigration officers, who are lawyers are empowered to take over the Legal Unit of the Service so as to end the current practice of posting lawyers from the Ministry of Justice for the post. Also that given Nigeria’s strategic role in the ECOWAS sub-region, it is important that an Institute for Migration Studies be established in the country for capacity building of Immigration officers of member states of the sub-region and that just like what obtains among the countries of the EU, joint security and border patrol exercises should be regularly embarked upon among border security agents of member states to promote synergy and exchange of best practices. Concerted efforts should also be made by the NIS to acquire modern border surveillance equipment and logistics for the effective and efficient patrol of the nation’s extensive and expansive borderlines and that NIS should impress on the National Boundaries Commission to afford it with a newer map that properly delineates the country’s borderlines. This will to some extent mitigate the present apparent difficulty faced by border patrol operatives who are constantly contending with the challenge of the intertwined nature of most border communities. Finally, that the issue of poor funding has continued to dwarf all meaningful efforts by the NIS to discharge its statutory functions. Consequently, the Federal Government needs to improve NIS budgetary allocations and in appropriate circumstances, provide Special Intervention Funds to cater for the operational needs of the Service. From the speeches and papers presented at the Conference as well as the various interactive sessions, including deliberations by the three Syndicates, the Stakeholders unanimously resolved that the Nigeria Immigration Service require adequate funding to deliver on its statutory mandate and the Federal Government should as a matter of national interest, increase the NIS’ budgetary allocation as well as provision of intervention funds in appropriate circumstances. Also that improved provision of Border Patrol Equipment and other logistics will enhance the relevance of the NIS as a frontline Border Agency within the security matrix of Nigeria, and the procurement of relevant technology, including Automated Border Control Systems as well as construction of Buffer Zones will further guarantee effective and efficient border control and management by the NIS. Furthermore, that border security must be seen as a cooperative venture and in furtherance of national security interest; Inter-Agency synergy must be encouraged amongst relevant agencies of Government, with emphasis on prompt Intelligence Gathering and Sharing as well as Proactive Networking with international stakeholders. 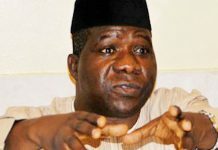 Finally, that the NIS must place premium on training and retraining of Officers and men with a view to improving their capacity to effectively combat the operational challenges of modern migration management, adding that the National Boundaries Commission needs to urgently address the long overdue challenge of unstructured nature of Nigerian land borders.